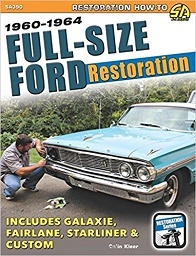 Our good friend and Ford enthusiast Colin Kleer of McKees Rocks, Pennsylvania has created an excellent book on restoration of 1960 – 1964 full size Fords. The book contains tons of crystal clear photos and information to help you with you restoration or just maintaining your classic Galaxie. The book is available in paperback on Amazon and Barnes and Nobel and other outlets. Our friend and fellow Ford lover Charlie Morris has done it again. A new book. Here is an email he sent us. For the information of other Galaxie fans out there my latest book, titled Ford Drag Team is full of Galaxie information as told by the Drag Council members themselves and official company documents. Available through www.stanceandspeed.com or Amazon. Also I am one of the coordinators of the 406-427-Lightweight, T-Bolt and Cammer reunion being held in conjunction with Fords at Carlisle later this month. [May ‘12] I will be there with books along with, Al Joniec, Ed Terry, John Healey, Earl Wade, Bill Holbrook, Mike Gray and Hubert Platt. We will be in bldg G and the adjacent lot which is the old tractor dealership adjacent to Gate 1. The Registry is pleased and very excited that we were mentioned in the “Acknowledgements” of David W. Temple’s new book Full-Size Fords 1955-1970. This book covers the history, options and technical details of Galaxie, 500/XL, LTD, Crown Victoria, Starliner, Skyliner & other models including Station Wagons. 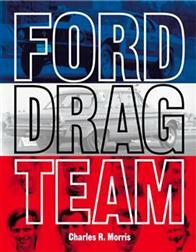 It is well written, accurate and contains many photos of the great Ford cars of those years. The book may be purchased at the following internet sites and other locations. We wish David success on this excellent publication! Nearly 1,100,000 Ford Galaxies have been sold since the car was introduced less than three years ago. "This strong sales achievement," said Matthew S. McLaughlin, Ford Division General sales manager, "is a credit to the fine styling and engineering features of the Galaxies and has prompted us to add another series, the Galaxie '500', to the line for 1962. 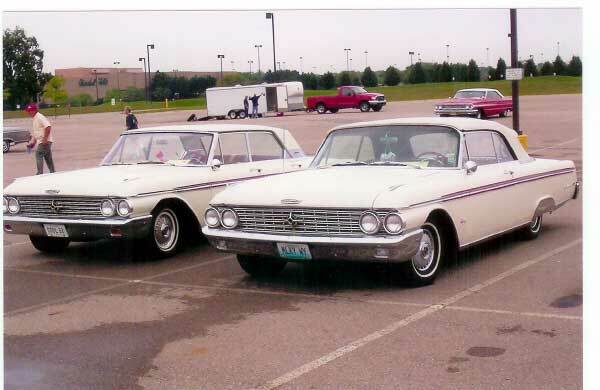 The Galaxie and Galaxie '500' are low price, luxury automobiles........"
The 1962 Galaxie is the first regular production vehicle in automotive history to have a factory recommended 6,000-mile service interval. All twelve 1962 Ford Galaxie models will be introduced in Ford dealer showrooms Friday, September 29. First year of the mighty 406 cubic inch engine. First car that I ever owned. ........And this was it. I had been admiring the long, sleek '62 Galaxies for a year, and when I saw this one it was something like love at first sight. It took everything my budget could handle, and on a rainy September afternoon in Seattle, Washington, for the mere sum of $2,652 I became the proud owner of this beautiful Town Victoria. It was new but had a few hundred miles on it from being used as a Demo. It was Corinthian White with red vinyl interior, powered by a 352 2V engine through a 3 speed Cruise-O-Matic transmission. The photo was taken in the spring of 1963 in front of one of the "barracks" of The Boeing Company Minute Man Missile housing complex on 10th Ave. South in Great Falls, Montana. I rolled up many miles on the odometer touring the plains and mountains of Montana and cruising Central Avenue in Great Falls. This car ran faithfully in the bitter cold Montana winters, and the postless hardtop gave the car a fun openness for summer cruising. Where this car is today I have no clue. Other than memories and a continuing fondness for the 1962 Galaxies, this photo is all I have left of my first car. Jumping ahead about 40 years, I am still the proud owner of a 1962 Galaxie. This one is a 500/XL convertible, and yes, it's Corinthian White with red interior, power steering and power brakes. It's powered by a 390 4V through a Cruise-O-Matic. Like my first Galaxie, this one is a true pleasure to drive. Side by side, my favorite Galaxies look like this. 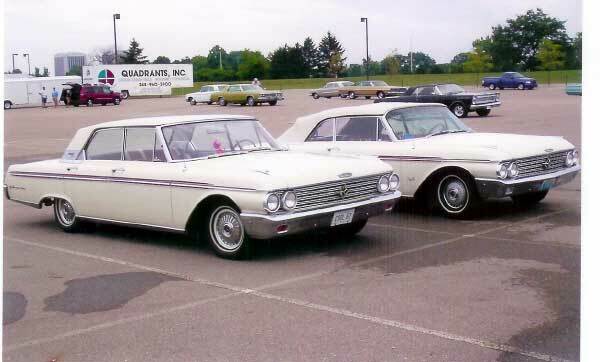 These photos were taken at the 2005 National Galaxie Show in Dearborn by Doyle Harrison of Taylor, Michigan. The Town Victoria 4 door hardtop is Doyle's and is Registry entry number 100. Which do you like best, the red fuzzy dice or the white ones? The 1962 Ford Galaxies are a rather elusive model. They are seldom seen at car shows or on the street, but I know they're out there. This site was created to collect, record and share information related to the Galaxies of 1962, a year when "cruising" was in its prime and AM radio waves were carrying top 10 tunes like Gene Chandler's Duke Of Earl, The Four Season's Big Girls Don't Cry, Tommy Roe's Sheila, and Bobby Vee's The Night Has A Thousand Eyes. On February 20, 1962 United States Marine and Mercury Astronaut John H. Glenn became the first man to orbit the earth in the Friendship 7 Mercury spacecraft. This day of 1962 is one of the great days in American history. In 1962, the year in which the classic film American Graffiti is set, average annual personal income in America was $5,500, a loaf of bread cost 21¢, a gallon of gas was 28¢ and John F. Kennedy was President of the United States of America. For about $2,500 to $3,000 a person could own one of these great Ford Galaxies. It has been 57 years since the 1962 Fords rolled off the assembly lines. How many of them have survived the ravages of time and the unforgiving jaws of the salvage yard crushers? Where are they now? What is their condition? What are their stories? What information do current owners and restorers need to really know their cars. An objective of this registry is to solicit and share this kind of information. In my humble opinion, those of us who are the collectors and restorers of old cars are the curators and caretakers of what I like to call The World Museum of the Automobile. This Registry is for all 1962 Full Size Fords, dead or alive, parts cars (organ donors), daily drivers or pristine show pieces. 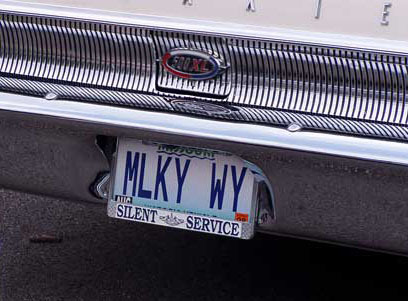 I view this registry as a listing of the '62 Galaxies in the museum. There is no cost to participate in this registry and all personal information is kept confidential. Drive on in and cruise around. Please, if you own a full size 1962 Ford, consider entering it in this registry. If you know someone who has one please tell them about the registry. 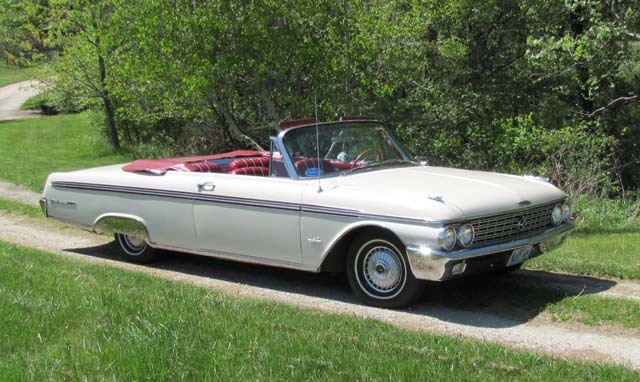 Oh yeah, if you happen to be traveling through central Montana and see a white '62 Galaxie Town Victoria, try to get the patent plate info, it might have been my car. I sold it to a friend in Great Falls in late 1964 before returning to my home in Pittsburgh, Pa. My Uncle Sam had sent me a special Greeting and invitation to fulfill an obligation I had to him. I owe a Galaxie trunk load of thanks to fellow Galaxie enthusiast Dave Coleman in Indianapolis for his generosity in hosting the Registry and for his help maintaining it. Without Dave’s assistance this site would probably not be here. 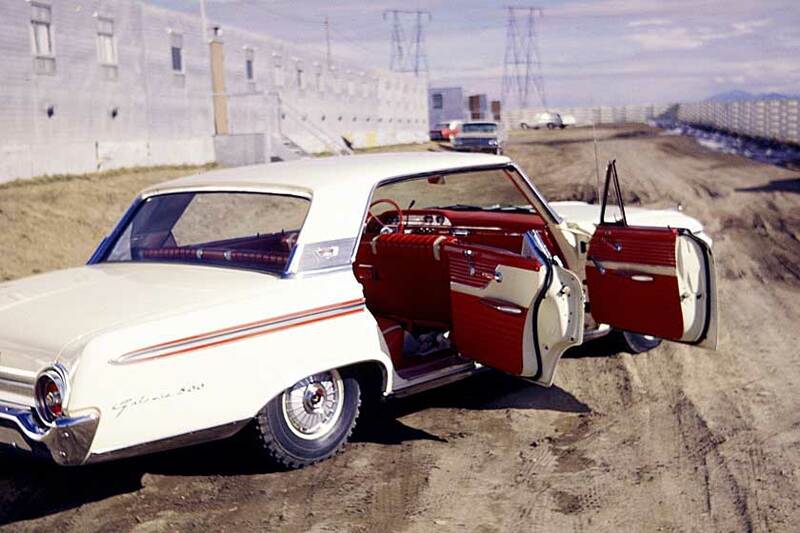 Thank you for visiting and for your participation in the 1962 Ford Galaxie Registry. Check back often as this site will be updated frequently. 1962 Galaxie 500/XL Sunliner - 2J69Z165476 built May 21, 1962 at the Los Angeles Assembly Plant.